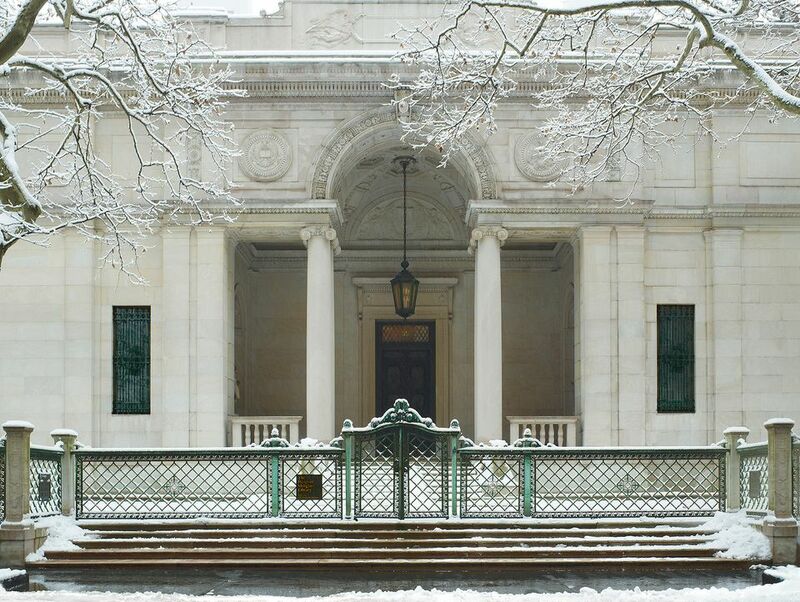 The Morgan Library & Museum in New York today announced a $12.5m initiative to restore the exterior of its 1906 McKim, Mead & White building and to design outdoor spaces that will engage visitors. The institution says the project will address problems like severe cracks in its limestone masonry and the corrosion of metalwork on the palazzo-like building, which houses the library and office of the financier and collector J. Pierpont Morgan. It is the first exterior restoration in the building’s 112-year history. The roof must be replaced, the Morgan adds, and the Neo-Classical sculptural ornamentation needs conservation treatment. Exterior lighting will be improved, and landscaping will create new spaces outdoors to replace the current grass lawn and trees. Work on the building will begin this month and is due to be completed by the end of the year, the Morgan says. Landscaping will then get underway, enabling the overall project to be finished by the fall of 2020. To date, 74 percent of the project’s $12.5m cost has been funded, the institution says. “Restoring the sublime exterior of the Pierpont Morgan’s library is far and away our most important capital project for the next decade,” the Morgan’s director, Colin B. Bailey, said in a statement. He described the building as “one of the finest examples of Neoclassical architecture in the United States." “Made with extreme precision, McKim employed building methods similar to those used by the Greeks in their construction of the Erectheion,” he continued. The Morgan says the blocks of limestone were laid without mortar joints; instead, an ultra-thin sheet of lead was placed between each stone block. Over the years, some of those lead sheets have fallen out or been damaged, underlining the need for repairs. The institution enlisted the firm Conservation Resource Inc. to assess the library building’s needs and to map out the restoration with the help of the architectural firm Beyer Blinder Belle. Bailey says the exterior landscaping will enable the institution to plan outdoor programming and encourage visitors to savour exterior details of the 1906 building from new paths and walkways. Covering half a city block, the Morgan unites the library, a 1928 annex, a mid-19th-century brownstone and a 1991 garden court. A 2006 expansion and renovation by the architect Renzo Piano integrates the buildings with three pavilions constructed of steel and glass. The library became a public institution in 1924 at the behest of J.P. Morgan Jr., the son of the financier, giving visitors access to his father’s rich collection of rare books, manuscripts, drawings, prints and ancient artefacts.